We welcome enquiries for the hire of all our facilities subject to availability. If you are a school, sports club, organisation or event promoter we have a fantastic range of facilities to suit most events. Further information about our facilities are on this page. If you are interested please call us on 0114 288 3792. 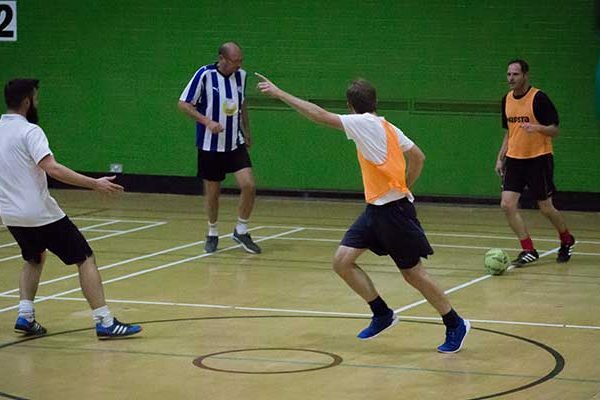 All our facilities are available for hire to groups and individuals, subject to our terms and conditions. Applications to hire our facilities should be made using the group booking application form. Completed forms should be sent to group.bookings@stocksbridgeclc.co.uk. Alternatively, you can contact the Centre direct on Tel 0114 2883792. For public, school and club hire – subject to availability. Suitable for a wide range of team sports, activities and also ‘one off’ events. Spectator seating for up to 400 plus a viewing gallery. Currently used for football, badminton, trampolining, – it is able to accommodate any activity requiring a large indoor open space. 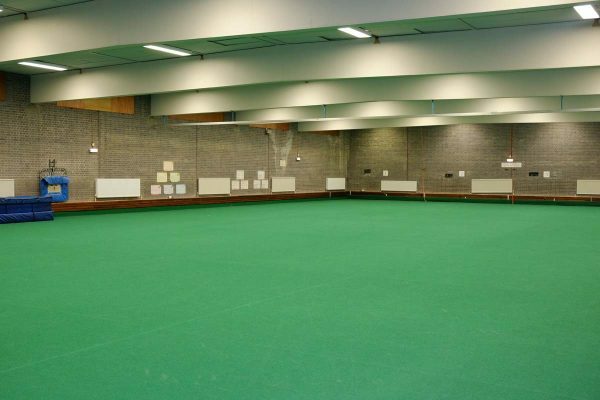 The hall can also be divided into two separate areas and can accommodate spectators using the retractable bleacher seating. We invite enquiries from event organisers looking for a large scale venue with large car park and spectator seating. 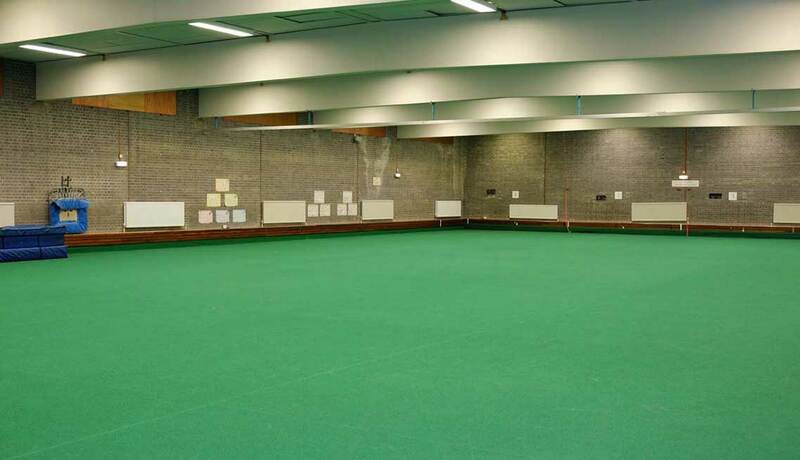 It is an ideal venue for sports tournaments, indoor craft fairs, jumble sales etc. 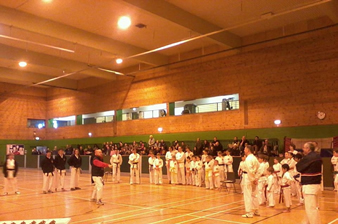 and has already hosted several tournaments including martial arts and kick boxing events. We offer on-site catering and sports equipment hire. 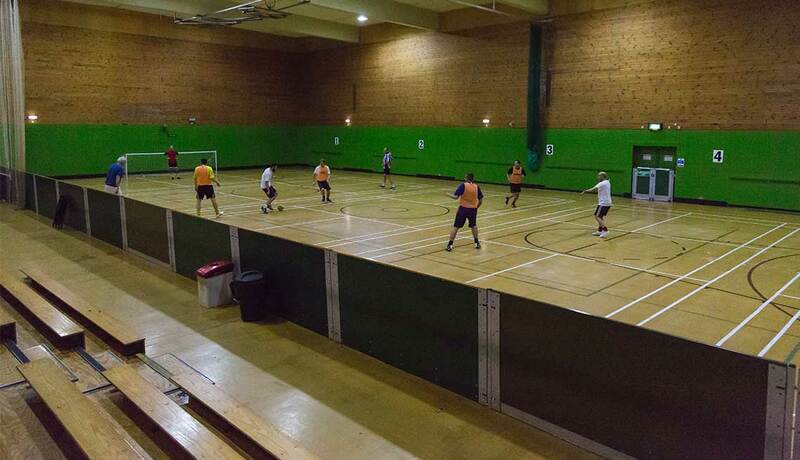 The Sports Hall is charged by the 45 min session, either full hall or half hall with peak and off peak rates available. Please contact us for further details. 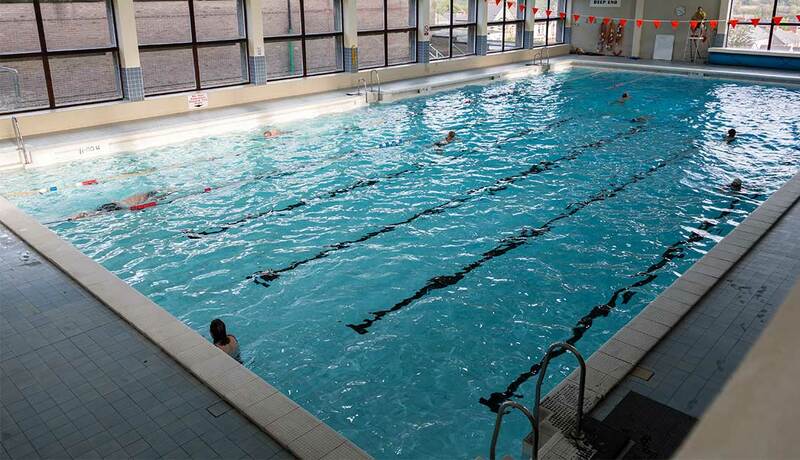 Both pools are available to hire at times when there are no regular timetabled activities in the pool. Hire is normally only available to schools or organised clubs/groups – although hire to individuals will be considered subject to certain conditions. There are separate male and female changing areas. The male change has eight changing cubicles but is mainly group changing. Whereas the female change is all cubicle changing. There are also two group changing rooms off the main change areas making it ideal for school hire. Both areas have wash hand basins, showers, hair drying and baby change units. The swimming pool foyer, provides tables and chairs and vending machine snacks and drinks. Applications should be made using the pool booking form. Completed forms should be sent to ado@stocksbridgeclc.co.uk. 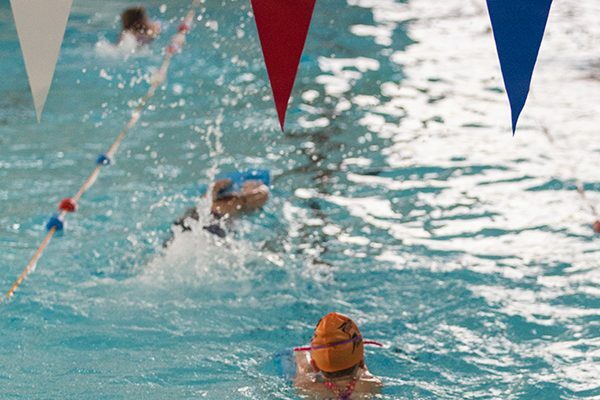 For public, school and club hire, we offer a bright, attractive and fully refurbished pool area with a seated viewing gallery overlooking the pool which is ideal for spectators/swimming galas. 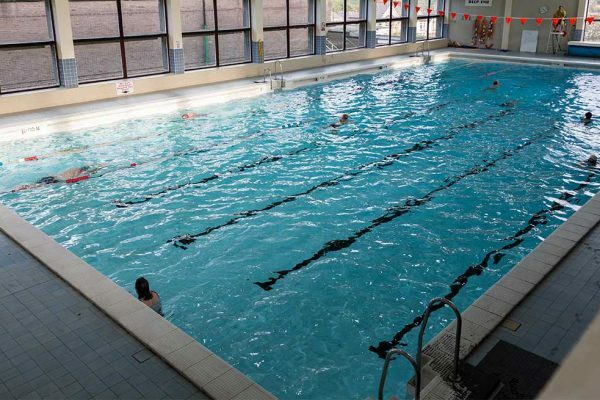 The pool is a traditional size, 25m long and 12.5 m wide, providing 6 lanes for swimming, with a shallow end of 1m, increasing to 3m at the deep end. Average pool temperature is 28.5°C. 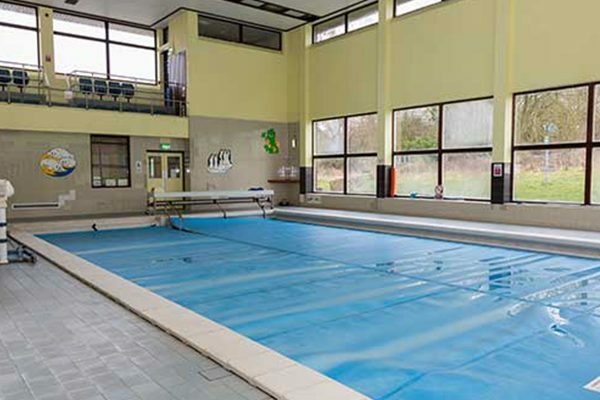 We also offer a bright, attractive and fully refurbished smaller training pool, 12.5m x 7.5m at a depth of 0.95m -1.05m. The pool temperature is 30°C making it ideal for baby splash, wrigglers and tiddlers sessions, parties and fun sessions and beginners swimming lessons. Leading off from the pool is a first aid room, disabled change and toilet with access to the viewing gallery which overlooks the pool.